I mentioned this before in a previous article, but it deserves mentioning again. 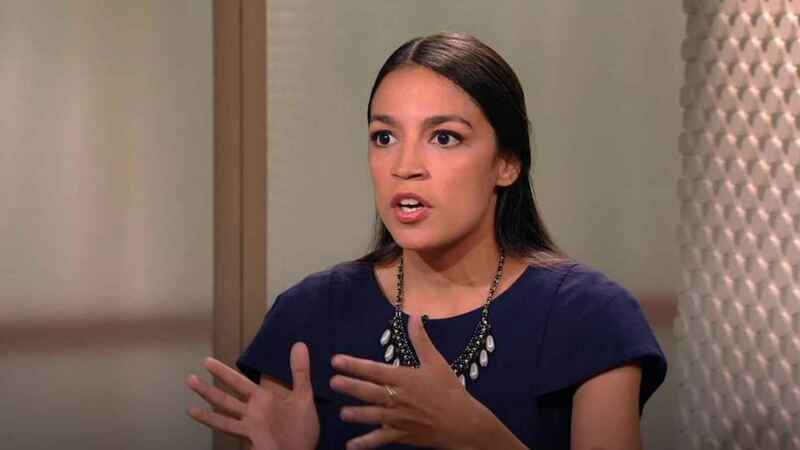 Alexandria Ocasio Cortez reminds me of that old Honeymooners episode from the ’50s where Norton and Ralph go to Ralph’s boss’ house to teach him how to play pool and Norton gives Ralph’s boss all these stupid suggestions about how to run his company and the boss goes along with him and makes him Ralph’s boss. AOC reminds me of the same thing. She makes all these stupid suggestions and her fellow Dems all go along with her. Alexandria Cortez is a former bartender with no government experience who got elected to Congress by equally stupid constituents. She says the reason unemployment is so low is that people are working two jobs and her fellow Dems say “oh yeah that makes sense” and go along with her. Never mind that when people take jobs away from other people unemployment goes up not down. Under Trump, more people are working than ever before which is why unemployment is so low. 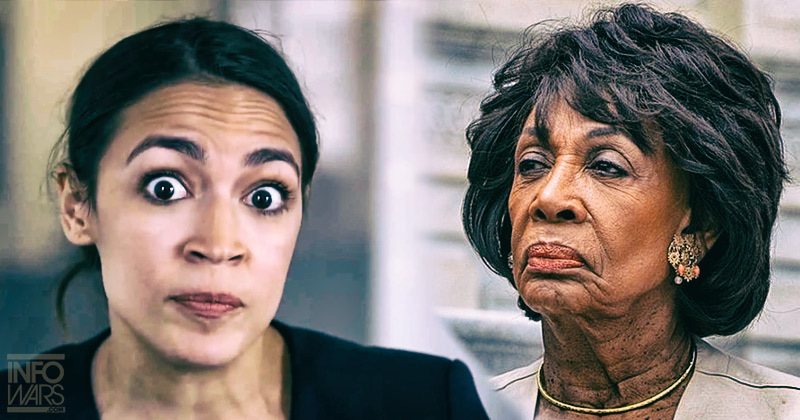 AOC says people in the upper tax bracket should be charged 70% so they can pay for free college and free healthcare and her fellow Dems say “oh yeah that makes sense” Never mind that when you raise taxes on the rich they lay off people and close down companies or raise prices on everything. Socialists want unemployment so people are dependent on them. That’s how they attain power. Trump wants people to succeed on their own and realize their own potential, not by the government’s help. This woman is supposed to have a degree in economics and international relations. You could have fooled me. She recently, with some fellow colleagues, burst into Mitch McConnel’s office telling him to end the standoff and reopen the government. She should go to her main boss Nancy Pelosi and demand that she give in and pay the five billion for the wall since she and Schumer originally asked for 50 billion when Obama was president. Trump said they could end it in fifteen minutes if they did that. 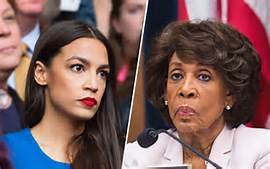 Meanwhile, Maxine (Impeach 45) Waters who tells her supporters to confront members of Trump’s administration wherever you see them and tell them they’re not wanted, gets appointed to the Finance committee and brings this inexperienced bartender now congresswoman AOC along with her and both will be running the countries’ finances. God help us all!!! 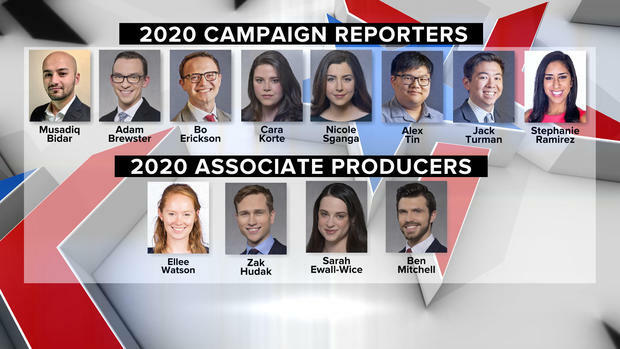 After CBS’s 2020 election coverage team was announced, Maxine was infuriated there were no black members on the reporting staff — so she demanded CBS hire one, and the network agreed. Unacceptable in 2019. Try again. Ocasio-Cortez’s main point was that people of color need to be represented, but just because one specific demographic is not represented does not mean the staff is not diverse. I’m sure some exec somewhere looked at this and thought, “Hey! We’ve got a guy with an Arab name, a woman with a Latin name, and an Asian! How diverse!” It is, in fact, a diverse group, but it lacks representation from the largest minority group in the nation. Which means it’s not diverse. Diversity means more than “mostly white people plus a few tokens.” A lot of companies think this is incredibly diverse. Don’t forget also a diversity of thought. And even more grueling questions remain. Is the network going to now terminate someone on the team or are they simply going to add more positions to pacify Waters and Ocasio-Cortez? Check out the Honeymooners episode here and see if this doesn’t remind you of Alexandria Cortez. God, this world is full of Benjamin-hungry Marxist Commie rats who will do anything to force citizens to hand over their money to them. Frickin’ psychotics, all of them. Just how the HELL did these people get into our government ?